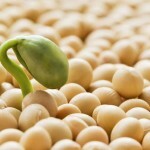 Diabetes Self-Management – Soy and Diabetes: Good, Bad, or What? Some experts like Jenny Ruhl at Blood Sugar 101 say that even whole soy can hurt you. “Too much soy is the last thing anyone with diabetes needs to do to themselves.” Is this true?